Each year, awards are given to horticultural companies for either their new plant introductions or for their performance within their particular sector of activity. 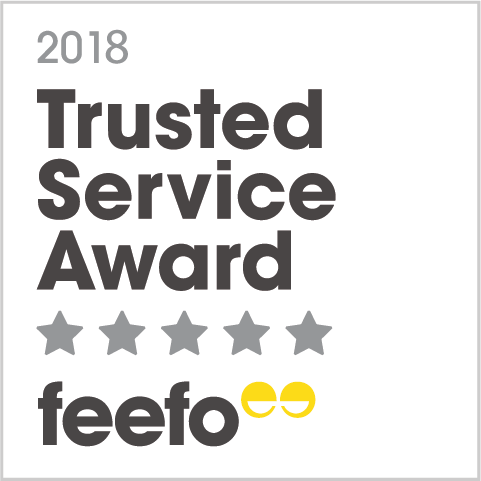 Over the years Thompson & Morgan is proud to have achieved many different awards either for their performance as a mailorder and internet gardening company or for new plants that they have bred. Thompson & Morgan, which offers one of the UK’s widest ranges of garden seeds, plants, gardening equipment and outdoor living furniture, was recently selected to join the Google Certified Shops program. To help shoppers identify online merchants that offer a great shopping experience, the Google Certified Shops badge is awarded to ecommerce sites that demonstrate a track record of on time shipping and excellent customer service. Sponsored by the Edible Garden Show and nominated and voted by the readers of Grow Your Own Magazine and online visitors, the Great British Growing Awards discover the UK’s most popular garden brands, products, gardens, books and gardening heros. We are delighted to have swept the board again in 2016 winning gold in 4 categories, including the prestigious Best Online Retailer GOLD award. The Garden Media Guild Awards celebrate the best of the best communications within the horticultural industry. The awards, given to both individuals and organisations, celebrate talent skill and inspiration from across the industry. At the Grower of the Year awards in February 2010, T&M; were extremely proud to be awarded with 'Best New Plant Variety' for Buddleja Buzz. It took several years or painstaking work by Thompson & Morgan's plant breeders to achieve this dwarf version of the garden favourite. Buddleja Buzz™ will not exceed 1metre or 3 feet in height, but retains all the other popular features that we know and love; such as its large sprays of delicately fragranced flowers - now available in magenta and white as well as the traditional lavender. Its dwarf nature makes it perfect for smaller gardens where like its larger cousin it will attract butterflies and other wildlife. 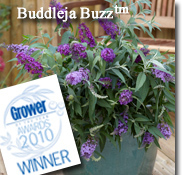 Click here to view buddleja varieties. 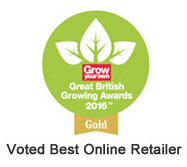 We are proud to be voted the best/favourite supplier across all online/mail order retailer categories in the Gardeners' World Awards 2009! 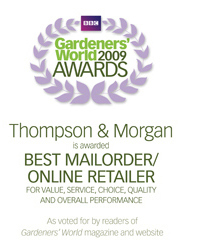 Thompson & Morgan was voted the clear winner in all five online and mail order retailer award categories by over 7,500 Gardeners' World Magazine readers and gardenersworld.com users who voted between March and May 2009 on their favourite plants, vegetables, garden gadget and retailers. A special feature of this survey was that Gardeners' World asked their magazine readers and website users to write and express their views directly, rather than from a shortlist selected by a panel of experts. From January - June, 2010, www.thompson-morgan.com was ranked #10 in the Hitwise United Kingdom 'Lifestyle - House and Garden' industry based on monthly average market share. This is a wonderful achievement for Thompson & Morgan and we would like to thank all our online customers for shopping with us. Over 7,500 Gardeners' World Magazine readers and gardenersworld.com users voted (Mar-May 2009) on their favourite plants, vegetables, garden gadget and retailers. G = Gold Medal is awarded to innovative varieties that also offer improvements in breeding and beauty. N = Novelty Award is given to varieties that show significant improvements or innovation. Q = Quality Award recognises new varieties that show excellence in breeding. AGM - The Royal Horticultural Society 'Award of Garden Merit'. The RHS carry out extensive trials each year, only the varieties offering the very best performance in a garden situation will achieve the sought after AGM status.